Shaking fluid bed dryers are frequently used for the drying of raw natural minerals or pre-processed minerals. The unique TEMA Process shaking drive mechanism allows for a uniform drying result for a large spread in particle size distribution ( 110 microns – 10 mm) , without disruptions of the fluid bed. This shaking design is suitable for capacities up to 100 t/h in a single unit. 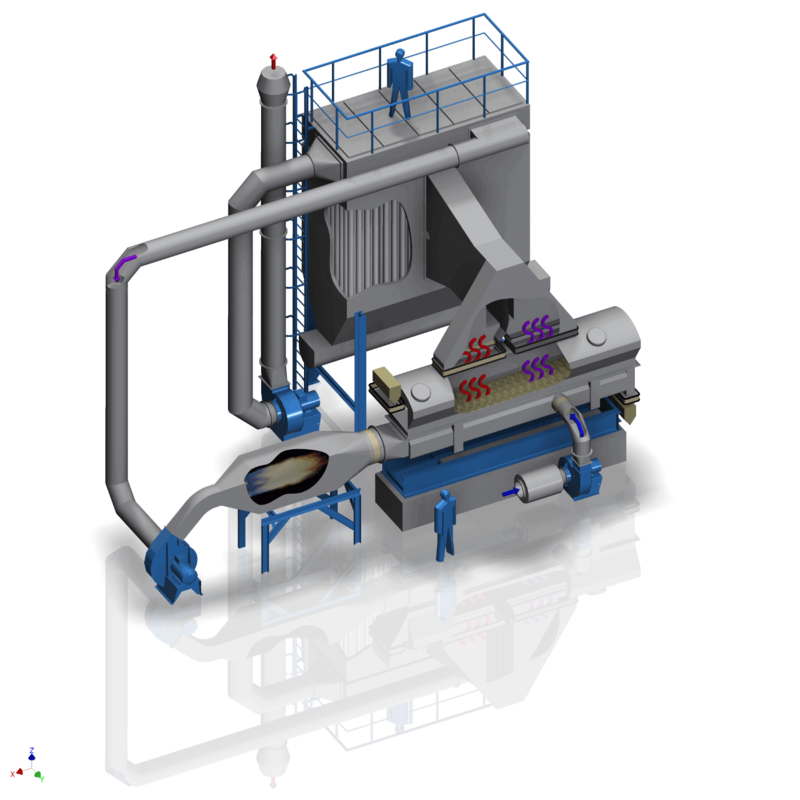 TEMA Process fluid Bed Dryers for Clay, sand, gravel, limestone, salt etc. Long life time, energy savings, low maintenance. Fluid bed dryers are specially preferred in mineral drying in combination with after cooling and heat recovery, resulting in better end product quality and very low energy consumptions. Combined mineral fluid bed dryer/cooler with 2 segment air filtration. Heat recovered from the cooling zone is re-introduced in the drying zone for energy saving .